Our new article – “Comparing Safari Tech Books Online and Books24x7 E-book Collections: A Case Study from the University of British Columbia Library” has just been published this week in the Issues in Science and Technology Librarianship. It is open access and is available for everyone. Most academic libraries are seeking to provide electronic access to the very dynamic and changing field of technology related material. 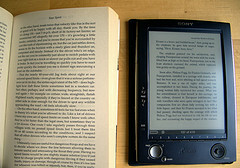 Safari Tech Books Online and Books24x7 are the major e-book collections in this area. We compared the Safari Tech Books Online and Books24x7 e-book packages as to their usefulness for the University of British Columbia Library, second largest academic library in Canada. In our sample, we found that Books24x7 had more titles to offer (25% more); the overlap between the collections was relatively small (13-16%) and publishers varied considerably; and although there were no major differences in the “usefulness” measures of the titles in the two packages (Amazon.com ratings, WorldCat holdings and Reviews.com reviews were quite similar for both packages), O’Reilly titles, available only through Safari Tech Books Online, were held by a slightly higher number of libraries worldwide. We conclude that in order to have comprehensive coverage of this constantly changing area of knowledge, a large research academic library needs to subscribe to both collections. If subscribing to both collections is not an option, we recommend selecting a package based on the pricing that the library can negotiate with ProQuest, the vendor of both products, since the collections are complimentary in their nature. Please feel free to ask us any questions or follow-up with this area of ebooks evaluation.